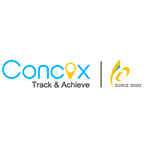 For more than 10 years already Shenzhen Concox has been engaged in the development and manufacture of GPS equipment and several wireless technologies projects in the area of M2M solutions. Nowadays the company clients are operating in more than 120 countries worldwide. Gurtam and Concox clients have found the common ground, resulting in significantly positive connection dynamics. The company focuses on the manufacture of equipment for governmental purposes, transport management and business monitoring solutions development. The chart below shows the changes within the last 30 days in the number units of Shenzhen Concox devices type are connected to Wialon Data Center.